I took a wonderful photo of a lilypond while I was in China. This weaving is one of my meditations from viewing that photo. 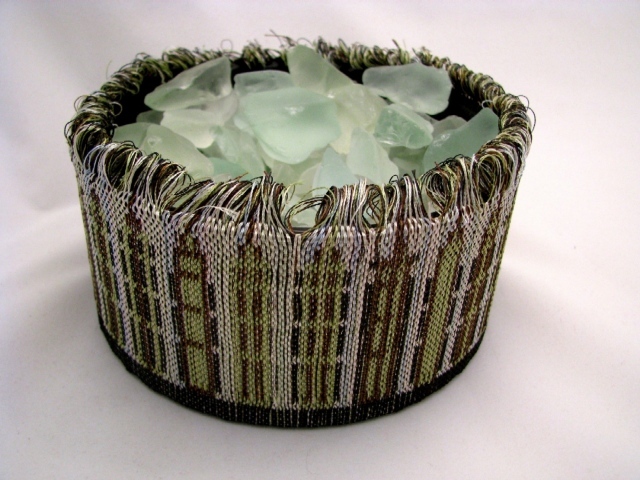 It was woven with rayon and metallic threads with fishing line as warp.